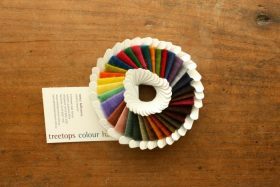 A great way to experience Treetops colours in your own environment. We have created colour cards for your convenience. 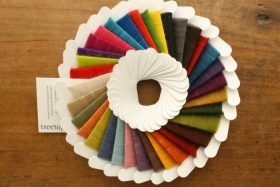 Real fibre samples beautifully wrapped around floss cards. 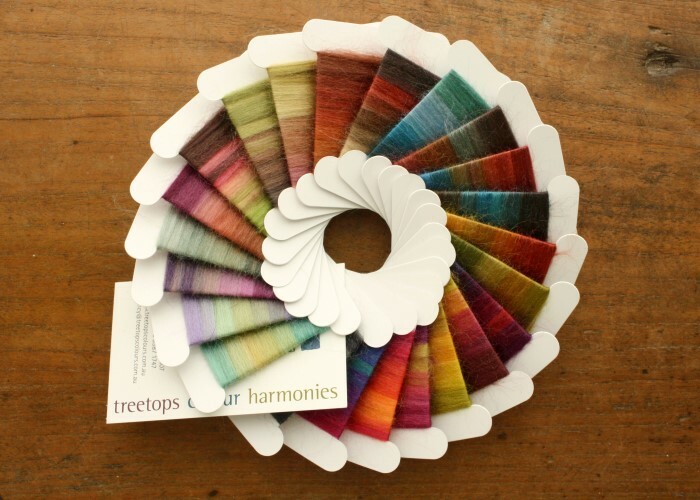 Our extensive, original hand-dyed Colour Harmonies collection will suit almost any felting, needle felting, or hand spinning project. We use only the best 18.5 micron superfine merino wool tops.